Do airliners start changing cabin pressure at takeoff or after reaching a certain altitude? Also when do they start depressurizing the cabin ? The cabin pressure is maintained automatically by a controller. Before the flight, the pilots will input two numbers: the cruise altitude and destination airport altitude. From these two inputs, the controller will manage the cabin pressure schedule automatically. While taxiing in, the controller drives the outflow valve slowly to the full open position depressurizing the cabin. For passenger comfort, the controller is programmed so that the rate of cabin pressure change is kept to a minimum. The cabin is actually slightly pressurized on the ground both during takeoff and landing, i.e. the cabin altitude is lower can the outside altitude. It smoothly transitions to and from cruise cabin pressure as the plane climbs or descends. Not the answer you're looking for? 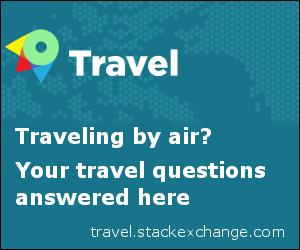 Browse other questions tagged airliner cabin-pressure or ask your own question. 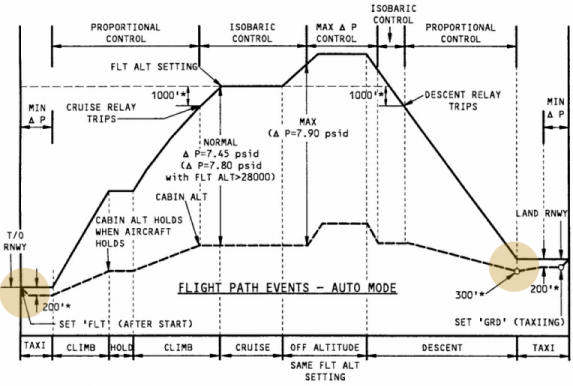 Has the typical cabin pressure in airliners changed in recent decades? How does the Learjet cabin pressurisation system work? How does the outflow valve work on a cabin pressurization system?